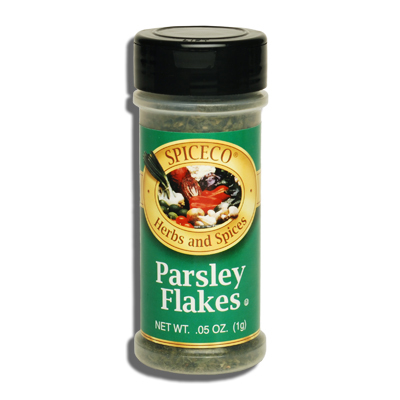 SPICECO, PARSLEY FLAKES (SMALL) | Bende Inc.
Spiceco Parsley Flakes (small). Used as a colorful garnish. This herb is used in soups, sauces, baked fish, potatoes and salads. 0.05 oz (1g).